Do you know a Spanish-speaking adult who wants to learn basic reading or writing? The LA County Library offers a free, pre-ESL literacy course that teaches Spanish-speaking adults how to read and write in Spanish. Leamos is a web-based course designed by Centro Latino for Literacy to help non-literate Spanish-speaking adults become literate in Spanish. Leamos teaches basic reading and writing skills and was designed for adults who never went to school or who attended for only 1-2 years. Leamos is not a Spanish as a second language course. 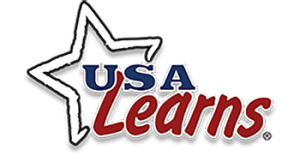 It is a pre-ESL literacy course that consists of 43 self-paced instructional lessons (each lesson has six sections). Computer technology is used for reading and writing instruction. Laptops are provided for use during the program by the library. The average course completion is 100-150 hours or 3-5 months. The time of completion varies depending on the weekly hours a student dedicates to the course. It is recommended that students dedicate 4-8 hours per week to the course. Students can complete part of the course at home if they have a computer and access to the internet. Seating is limited and given out on a first come first serve basis. To reserve your place, please contact the library. Spanish ESL exercises (Click Nivel Principante). All Levels. *Must have email address* Basic reading, writing, and speaking. English skills with videos and quizzes. Level 1-6. Basic ABCs and basic reading. Beginner.